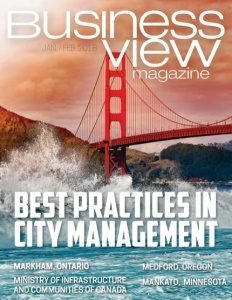 Business View Magazine interviews Tyler Ackerman and Samantha Rougeux of the RTA store, as part of our focus on best business practices. It is estimated that over 10 million American kitchens are remodeled every year at a cost of approximately $50 billion. When remodeling a kitchen, about 80 percent of homeowners upgrade or completely replace their worn out or out-of-date cabinets. In 2009, The RTA Store dove into this lucrative market with a revolutionary business model – selling ready-to-assemble kitchen cabinets, online. 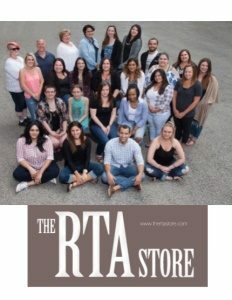 Recently, Business View Magazine spoke with Tyler Ackerman, The RTA Store’s CEO, and his sister, President and co-owner, Samantha Rougeux, to find out more about this unique, e-commerce company. The following is an edited transcript of that conversation. BVM: Can you talk about the genesis of the company and how it managed to survive and evolve? Ackerman: “The company was founded in 2009 a year after I graduated college. After I graduated, I went to work for our parents. They owned two furniture stores in Dutchess County, in upstate New York. I was working in customer service, and I wasn’t overly thrilled about the position; it was just to fill time at that moment in my life, while figuring out what I wanted to do. 2008 was not a terrific year to graduate because of the crash, and our parents’ furniture stores, as well as the rest of the furniture industry, were on the decline. They eventually had to shut down in 2011. “In early 2009, I started researching online e-commerce sites. We had a lot of contacts in the furniture business, already; we had a lot of suppliers we could reach out to. My uncle had been importing cabinetry for the past few decades; he’s a wholesaler and he ships them out to various retailers in the U.S. I approached Samantha with an idea of putting all of our ready-to-assemble products – beds, tables, chairs, and the cabinets – online. “We began to build out the site in January of 2009 and launched it in April 2009. We both had jobs and it was something we were working on when we had time. But things started to take off a few months later and we quickly realized that the only products getting any traction were the kitchen cabinetry. So, by early 2010, we had taken off all furniture from the site and strictly focused on cabinetry. We were flooding Craigslist in different areas of the country to let customers know about us, and it took off. Rougeux: “We have 49 employees and one central location in Hopewell Junction, NY for our customer service, claims and door sample departments. We also have a showroom at that location, but other than that, we’re strictly online. We service the entire country and also regularly ship to Canada and various areas in the Caribbean. Ackerman: “A big part of our success, early on, and what continues to drive the type of customer who purchases from us, is our connection with the Scripps Network and the DIY Channel. That was our first form of advertising. 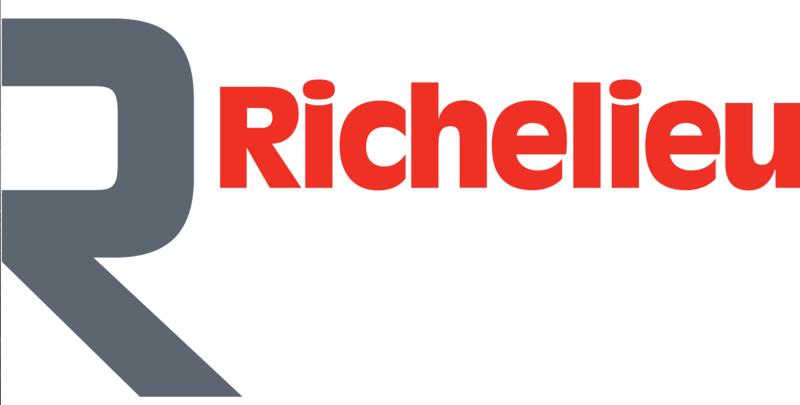 We knew we needed to let customers know that we existed, and that you could purchase a kitchen online. That was one of our biggest struggles – people just didn’t know it was possible to buy cabinetry online. Not that they were afraid to do it, necessarily, they just didn’t know it was available. BVM: The concept of ordering cabinets online seems so counter-intuitive. Doesn’t everything have to be measured and matched onsite? How does the process work? Rougeux: “Measuring for cabinetry is extremely easy and we’re able to walk our customers through that process. Then, once we have basic measurements, we use our software to create 3D renderings which really helps the customer visualize exactly what their new kitchen (or bathroom, laundry room, office, bar, etc…) will look like. Our professional design team really takes the scare factor out of purchasing online. Our customer service is excellent when it comes to staying in touch with the customer at all times; lines of communication are constantly open. 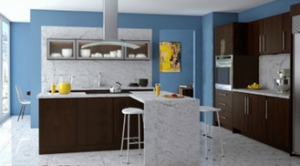 There’s also never an obligation to purchase when using our kitchen design, so there’s no pressure. “We also offer door samples for every finish we sell. Customers will order a door sample, and it’s not just a color chip; it’s an actual door, so they can see the profile and the finish, which are both equally important. Some customers will even order a small cabinet to see the quality and the assembly process before ordering the rest of their cabinetry. BVM: Are there any other companies that have jumped onto the online model, selling cabinets over the internet? Ackerman: “We’ve had competitors since our inception and we get more and more every year. But it takes a lot of organization and hard work to be able to run every single moving piece when you’re selling cabinets. You not only have to convince the customer that there’s a face behind the business, especially when they’re spending anywhere from five, ten, or fifteen thousand dollars online, you also have to be able to help them out the entire way. So, customer service is huge and that’s where we excel. We have competitors who are less expensive than us, but their reputation is not as great because they don’t invest in service quality like we do. A lot of times we’ll have customers cancel orders from competitors after they were promised XYZ and it never happened, and then they’ll come to us. BVM: Has anything happened recently, or planned for the near-term future, that will impact the way the business operates? Ackerman: “For us, our business (and the industry in general) is constantly evolving. If we’re not consistently making upgrades to our platform, website, and our processes, we’re falling behind. For example, we have 28 new finishes that we will be launching soon. It’s not easy to launch a new finish; it’s time consuming and labor intensive. But that’s something our customers really like – the selection we offer. Almost anything a customer wants, we have. We’re always looking for new finishes and new styles. BVM: What is the long-term vision for the RTA Store? BVM: What else would you like our readers to know? Rougeux: “Not to be afraid to purchase their cabinetry online. Yes, it’s a large purchase but we really take the time to walk our customers through every step in addition to providing a free design service where they can see exactly what their new space will look like. They will know exactly what they’re getting and will often have a better purchasing experience than they would at their local brick-and-mortar store. 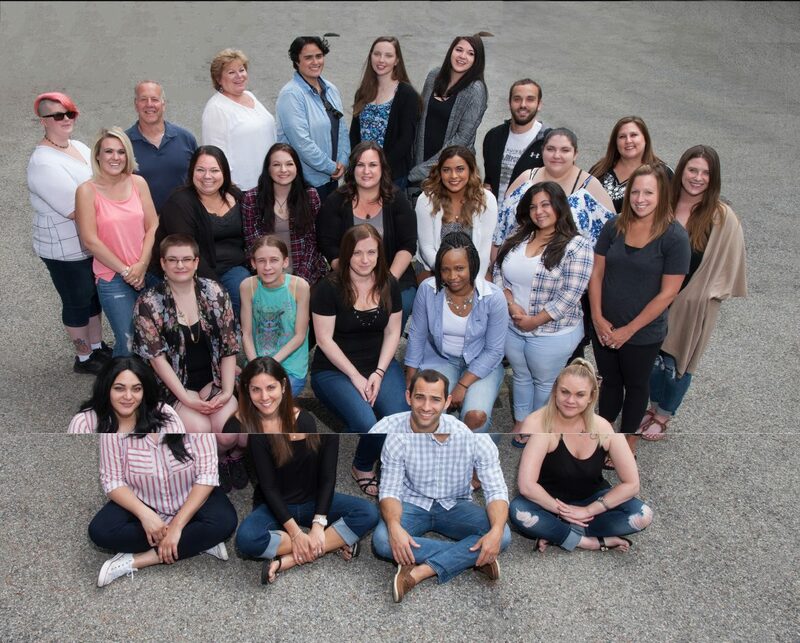 We started in a brick and mortar retail business, where we were face-to-face with our customers all the time, so we know what’s important to people. It’s not just saving money and it’s not even just a having quality product. It’s knowing that if something goes wrong, someone will always be there to take care of it.